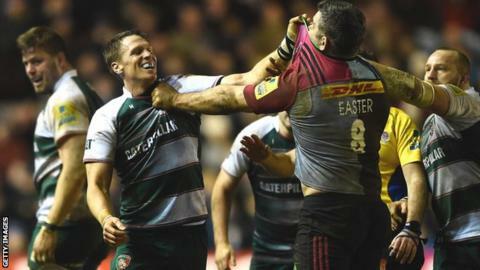 Ex-South Africa captain Jean De Villiers is set to leave Leicester when his contract with the Premiership club expires at the end of the season. De Villiers, 35, has only played two games for Tigers since joining after last year's World Cup. Director of rugby Richard Cockerill told BBC Radio Leicester: "He is out of contract, and with Matt Toomua coming, it was always just for this season. "Whether Jean decides to carry on playing or not is a question for him."